Writing: continue working on your house “map” & choose one of your ideas from your map and write about it. If you indicated you wanted to order our class book The Best Part of Me, please return your ‘order form’ + payment as soon as possible. 2nd day for building your science design is tomorrow. Do you need to bring in anything else to complete your design? Math test (multiplication & division) Wed.
Science materials–be sure you have what you need for Mon. Do you have a library book to be returned? don’t forget to read for at least 20 minutes! March 1 will be a non-uniform day. Hot lunch, for all students who ordered hot lunch, has been changed from Friday, March 1 to Monday, March 4. Skating Friday. Bus departs 11:40am and returns 1:30pm. Lunch will have to be eaten earlier than usual. Math Quiz Monday on Measurement. Linear measurement (using a ruler), time. Monday we begin presentations for Biography in a Bag. Congratulations to Cristiano for winning a $25 Book Fair certificate! Try to leave a comment on one of your classmate’s blog posts. Biography in a Bag–presentations start on Monday! Continue to prepare for which 8-12 items you will put in your “bag”. Biography in a Bag–do you need to bring in any further research? Friday Folders go home today with Report Cards inside + permission form for skating March 1 @ Bostwick Arena. No cost. Try to leave a comment on a blog post of your choice over the long weekend. Book Fair begins next week. Our scheduled day is Wednesday. Thurs. Feb. 14–Happy Valentine’s Day! Dance-a-thon tomorrow! Wear bright colours/reflective clothing if you have some! Book Fair next week. Our schedule day is Wed. Please return yellow Parent/Teacher conference form if you haven’t already. It was sent home with Oldest and Only students. If you have any incomplete math from earlier this week, please complete. Dance-a-thon Fundraiser–bring any money in as soon as possible! Dance is next Friday. Math: finish questions #1-4 from our board. Also, p. 106 A. Use items from around your home. Dress as your favourite fairy tale character or wear your uniform. Writing: finish your planning sheet (the one with circles on it) for your persuasive letter. Swimming on Monday. Last day! Social Studies Test on Tuesday. Math: finish textbook questions from class today, if not done. Social Studies Research Project–you may bring in to school any research you gather at home. Each student is working with a partner to learn about their chosen Ontario community. Math–finish addition questions using the strategy “Traditional”. This is also called stacking. Question #4 is where you get to make up your own addition question! Challenge yourself. Language-Finish your 3 sentences supporting why you would rather go to the beach OR swim at a pool. Students are welcome to wear PJs again or Red/White/Green outfits. Bringing a pillow or stuffie is welcomed. 2D Geometry math test next Wed. Math: find 2 items in your home for each type of angle: acute, obtuse, straight, right angles. Jot them in your math notebook. No homework tonight! We’ll do word study tomorrow in class. Concert tonight! Be in classroom by 6:15pm. Tomorrow is the Feast Day of St. Nicholas. Cookies and Hot Chocolate for all! 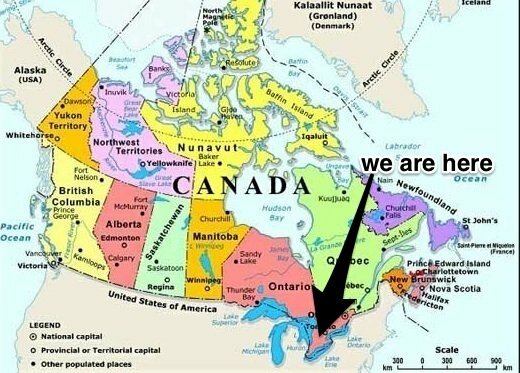 Social Studies–continue to review parts of Canada and where they are on a map! Another pop quiz will be coming up in the next week. Mathletics–aim for 10 minutes tonight. You must log in through the schoolboard website www.ldcsb.ca and click on “myLDCSB” at the bottom. Students will sign in using their username and password found in their agendas. Health–do you need to bring in any props? 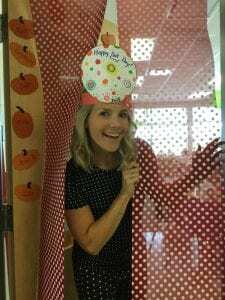 Family Life–continue bringing in pictures, stickers, decorations, etc. for your UPower Map project. We will be putting them together on Wed., Thurs., and Friday of next week. Fri. Folder went home today. Start to bring in UPower map ‘stuff’. You have until next Wed.
UPower Map information went home today. Start to gather materials now. Keep on reading this long weekend! Challenge yourself! Science Test moved to Tues.
Report Cards went home today. Return envelope signed. Word Study quiz went home today in Friday Folder. Please initial and return. Thank you! Return music form (stapled in agenda) for Tuesday. Math test on patterning tomorrow. A practice sheet was worked on in class. If not finished, it’s a good idea to complete tonight. Black and Orange Day Wed.
Last day for Jelly Bean Guess is Monday! Jelly Bean Guess (for United Way). $1.00/guess. We will choose the winner next Tuesday. Guess as many times as you like! Mindfulness Mondays starts this Monday! No Friday Folders this week. Place Value Test-rounding, ordering numbers, representing numbers. Marked quizzes were glued into their blue notebooks which they have taken home tonight. Rounding quiz tomorrow. Practice sheet went home. Some students may already be finished. No Word Study this week. Flashlight Friday tomorrow morning! Turkey Trot, then Turkey Bingo! QSP Magazine Drive launched today. Info went home today. Math: be sure your rounding worksheet (both sides) is completed. Textbook work: p. 33 #4,6 p. 35 # 4,6,7 Due Fri.
Bring in another rock (just 1) that we will be painting next week. Bring in by Monday. It should be small in size, but not a pebble. Terry Fox Run for primaries in the afternoon @ 1pm. Students should bring a change of clothes if they need to. Where can you find rocks in your home? Writing Workshop–finish what you started in class today. Writing Workshop–finish entry about…”Think of a place that matters to you and list 3 memories connected to that place. Choose one to write about in more detail. All About Me Bag–students received the outline for this presentation. They also have their presentation date recorded on the handout. Students are asked to bring in a pair of headphones–either over the ear or earbuds, preferably in a baggie with their name on it. These will be used in school all year and will be kept in a bin in the classroom when we need them. Thank you! Writing–finish writing your entry about the person that you said was special to you. Keep it to about a page or so. Some students brought home their ‘newspaper’ about themselves. I’m requesting they spend about 15 minutes working on it but do not need to finish it. Rocks–students are asked to bring in a baggie containing 4 rocks that they can find around their yard, school, etc. Bring in this week. Word Study Program–introduced today. A note is stapled inside the agenda explaining how it works and what it is. All students have “Monday” homework in their yellow duotangs. Friday Folder went home today. Blog contract inside. Picture Day for our class is on Wed. 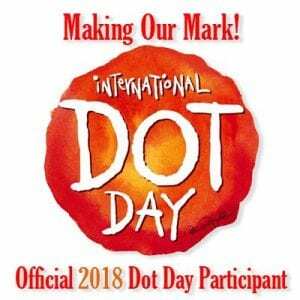 Dot Day tomorrow! It’s still a uniform day, but feel free accessorize, think about food to pack in your lunch, and be creative! Purple verification forms went home today–please check thoroughly, sign and return. Info re: Hot Lunch program, St. George Rummage Sale Sept. 15. Lots of info went home today. Please look carefully at each paper. Tues. Sept. 4, 2018–Welcome Back! Hi, it is me youssef’s mom. i love the site .It is super fun. youssef likes the site too. Awesome website. When is the timeline due? I’m excited to see all of the other things on this blog. The timeline is due Tuesday. Can you believe tomorrow is Friday already? I hope you’ve had a great week!